Barefoot Angie Bee: GU and Road ID giveaway!! GU and Road ID giveaway!! I have loved Road ID for a while now. I am the proud mother to four lovely male spawn. All of them have Road ID's thanks to Outside PR hooking the 3 little ones up and winning one on a blog giveaway for the oldest spawn. My oldest has the Dog tag style ID and the younger three have the Wrist ID elite. Here is my review of our family Road ID's. I have the wrist ID elite with both blue and green bands. I wear mine all the time. I forget that I have it on! My husband, who never wears any kind of adornment unless its clothing, ordered the black sport band. So now my whole family has ID's and we all wear them often when we go out and on road trips especially for the spawn. The boys ask for their "special red bracelets"! I get to give away a sweet Road ID of your choice!! Its so fun to give things away, especially when they are products that I truly believe in. I also get to give away two 6 packs of GU. One six pack of Vanilla Gingerbread and one six pack of Chocolate Mint flavor! I have yet to try the Gingerbread although I have no doubt I will like it since I already love all the other flavors and Vanilla bean is my ultimate favorite with Chocolate mint not far behind. 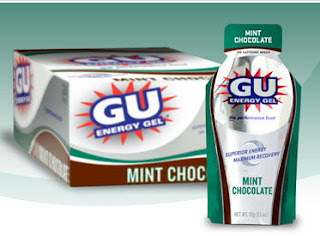 GU is gluten free so it works with my crazy special diet! Here are the rules to the giveaway and are pretty standard. Make sure to post a separate comment for each thing you do. I am using random.org so each comment is an entry. You can do one or all, its up to you how much work you want to put in! 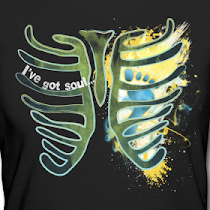 Blog, tweet, facebook, skywrite, email, ect about this giveaway. You can do one or all and each once a day throughout the giveaway time frame just make sure to post a comment each time. Because autism and special needs folks are close to my heart and I think that Road IDs are great for those with special needs as well as their parents who worry so much about said kids, mention Road ID to someone you know who has a child with autism. It seems as if everyone knows someone with autism or special needs of some kind these days. If you are someone who has a kiddo with autism or any other kind of special need let me know what you think of the idea of an ID for them. This giveaway will run until Tuesday the 14th and I will announce the winner on Wed the 15th. Posting the giveaway on my sidebar. I shared on my FB! What do I think of a road id for an autistic child or a child in general? I think they are a plus. Especially for nonverbal kids. My only issue is that some kids are sensitive to texture so it would depend on which Road Id you use. The shoe one would be the best if they had those issues. I like Gu on FB! sign up for Road ID Holiday Giveaway. Since Tristan has autism (of some kind) I love the idea of an ID for him. He talks but he wouldn't be able to answer "where's your mommy" or really anything beyond age and name. I have an ID for him but it's velcro so he can take it off. Road ID would be good for him bc he couldn't take it off. I entered the Road ID Giveaway! and I tweeted about the giveaway as well. I am a new follower :) and I cant believe you run barefoot, please tell me you live in Berkley?! I signed up a few days ago for the road id giveaway! I posted a link on my blog to your giveaway! I like gu on facebook already! I've signed up for the Road ID Holiday Giveaway. I like GU on Facebook. Just entered the Road ID Giveaway! Your giveaway is posted on my blog sidebar. I already like Gu on Facebook. My youngest has food allergies that were pretty severe when he was a baby. At that time he needed a bracelet that he couldn't remove/lose/choke on. Thankfully, he has outgrown the worst of his allergies so he doesn't need an ID for them. I can see an older child with food allergies really liking the 'cool factor' of the Road ID vs. the not cool factor of a medical alert-type bracelet. Especially since Road ID has the Interactive version. 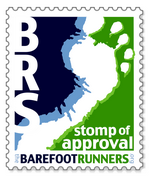 I am a new follower - great blog, can't wait to read more - I'm intrigued by the barefoot thing! 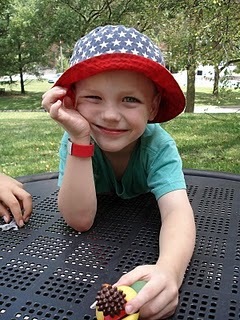 I think a special tag or ID is a great idea for autistic kids or kids with special needs... My son is three, he has special needs and still doesn't have many words, being able to communicate via ID, in case he gets lost, is a very good idea. I follow, I love the Road ID, I like GU, and I Facebooked it! Entered the Road ID giveaway. Ia lready like GU on fb. I entered the RoadID giveaway! I posted about it on my blog sidebar. Commented on about it on facebook. I work with special needs middle schoolers. I have actually written the road id guys about getting road id's for all my kids. There are 50+ kids in our program. 3 know their address. 1 wears a dog tag with info on it. I think they would be amazing for them - especially the shoe tag. I have a child with food allergies and road ids are definitely a good tool for paramedics or other people who would care for him. The shoe tag would be great, it could fit on his shoe no matter how big he gets. I like GU on facebook! Signed up for the Road ID giveaway! And on my other blog. I signed up for the Road ID Holiday Giveaway. 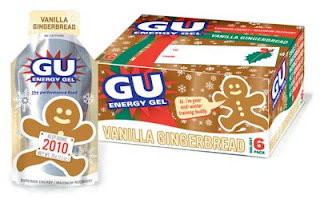 I signed up for the Road ID Holiday Giveaway because those two Gu flavors are a couple of my favorites. Thanks for the giveaway! I entered the roadID giveaway. Cheers! Posting on my blog now! I entered the Road ID giveaway.